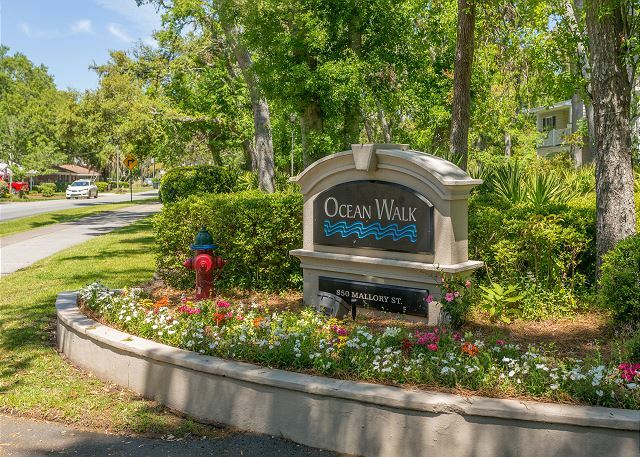 Real Escapes Properties is pleased to offer this two-bedroom, two bathroom condo in the Ocean Walk Community. 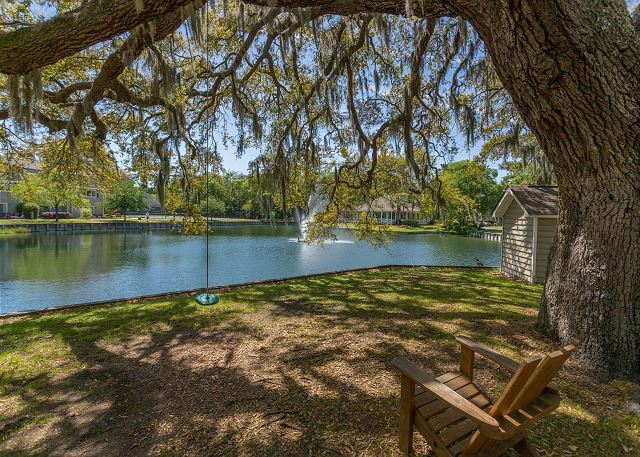 Ocean Walk is a 16 acre, beautifully landscaped community with century old oak trees and a pond. 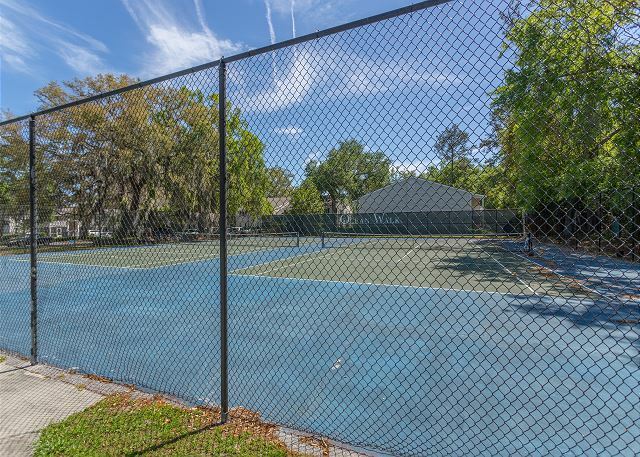 Amenities on site include two pools(one of which is heated), a fitness canter, tennis courts, children's playground, and clubhouse with internet access. Two comfortable bedrooms with two full bathrooms. Large living room with large flat screened TV. There is a patio off of the living room. The kitchen has been completely update along with new flooring. Master bedroom features a king bed and guest room has two twins. So much to do, fish in the lake or feed the ducks. 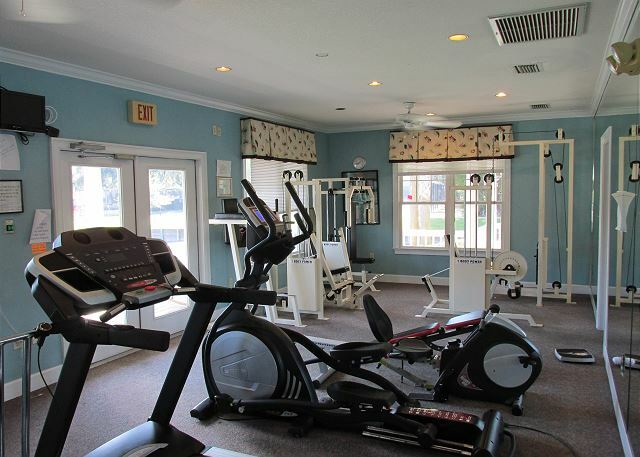 Play basketball, or swing at the playground, or have a good work out in the exercise room that over looks the lake. Ocean Walk is a short walk to the pier where crabbing is always good, or have some oysters at Half Shell. Build sand castles or fly kites at the beach. You can ride bikes over the entire Island. 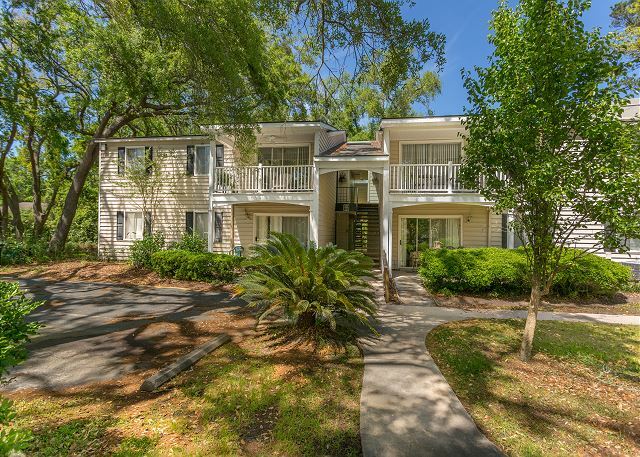 Come stay with us and fall in love with St. Simons and Ocean Walk. 0.9 Miles to the Village, Beach and Pier. Condo is an upstairs unit. Includes Wireless Internet. We were here for 7 weeks and the accommodations were super comfortable. Great people at Real Escapes made our stay very pleasant. We will be coming back next year. I love Ocean Walk. I have stayed in L-4 a few times and love the condo. I would say they need to change the comforters on the beds. They have been on the beds for a few years now. The living room furniture is in bad need of updating also. I was looking for a pitcher to make tea and could not find one. The community office was very disappointing. The bathroom baseboards haven't been cleaned in a long time, the floors and sinks and commodes were dirty. 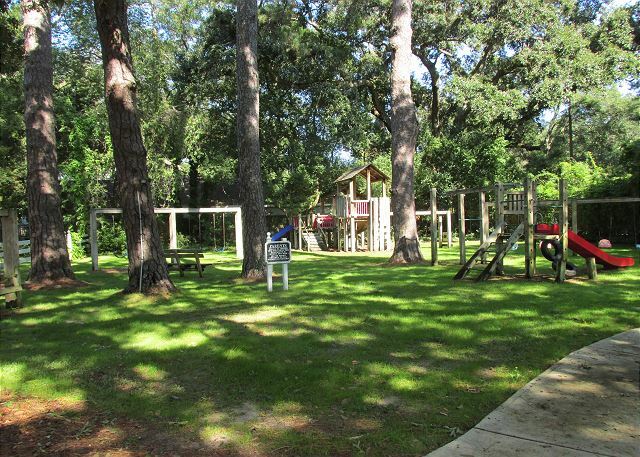 We enjoyed the property and were overall happy with everything. I will definitely recommend and use Real Escapes Properties in the future. Very accommodating unit. Perfect location. I would stay again! Had a great vacation in a very comfortable condo. Will be back next year. 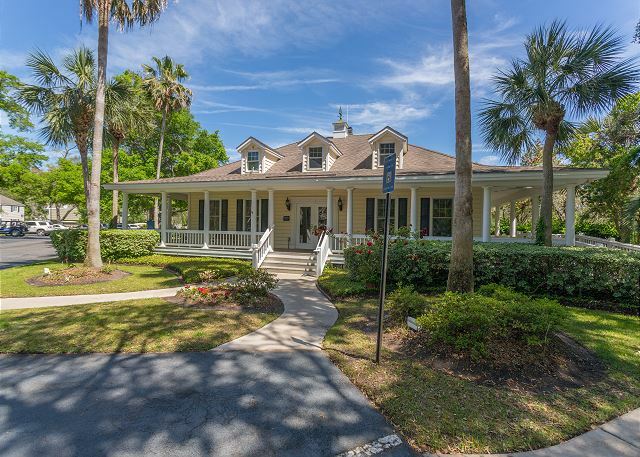 Awesome location, close to every beach access. This is our 8th time staying at L-4 and we have booked again for next year. 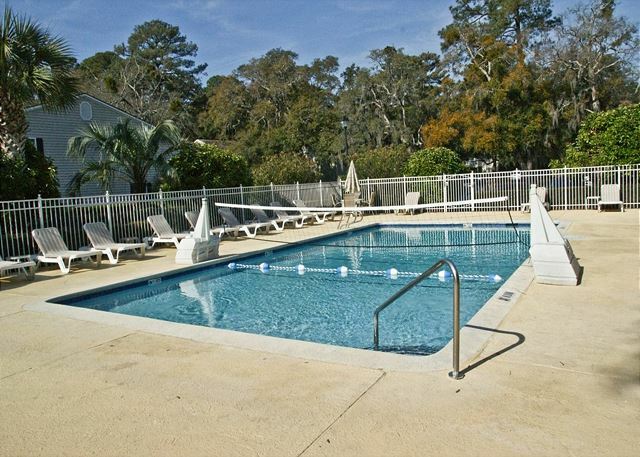 The unit is clean, comfortable, well equipped and is well located. Would recommend to anyone looking for a great stay. Real Escapes staff go out of their way to be helpful. Truly a highly professional rental agency. Condo was not clean though it was vacated since Thursday before our Saturday arrival. Took over 5 hours to be clean & a bag is dirty linens remained all week. The AC was not working still at 8 pm so we had to spend the night at another property, which meant packing & unpacking to move & then return the next day. Finally by Monday the condo seemed to cool down so I think that the freon must have been added the AC needed. Although the realtor was kind, it was just a disappointing way to begin a vacation. It was very relaxing, peaceful place. The condo was clean and well maintained. A problem with the plumbing was fixed quickly and efficiently. The front screen is somewhat broken, we fixed it temporarily with duck tape. The drawer in the main washroom cabinet didn't work. Enjoyed ocean walk. Unfortunately one of our neighbours was a smoker forcing us to keep our windows closed a lot of the time. This could happen anywhere. 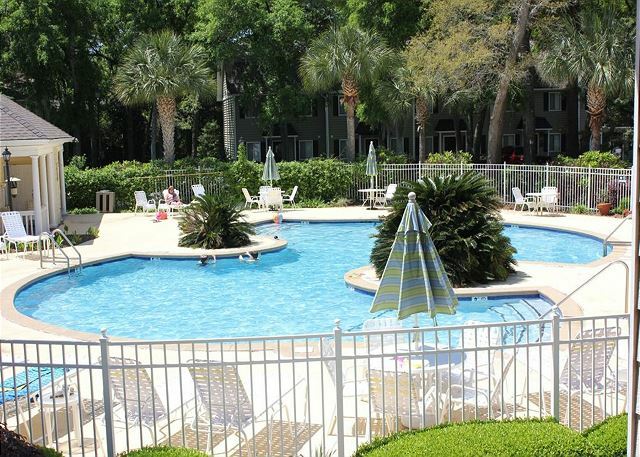 Very nice rental, clean apartment with everything you need while you are staying there. This is the 2nd year in a row that my family stayed at this unit. 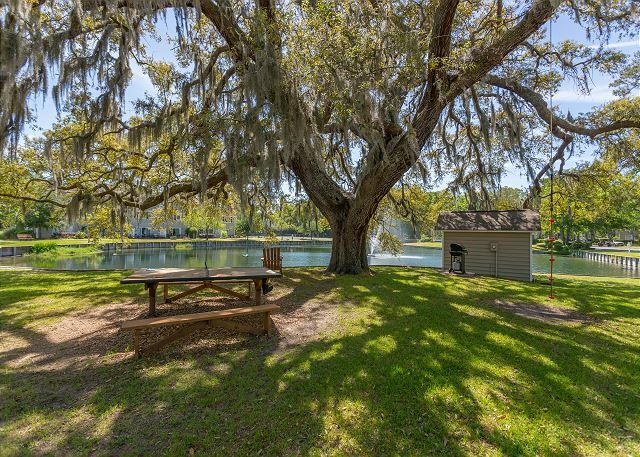 We love the location (deck looks out at big oak trees). 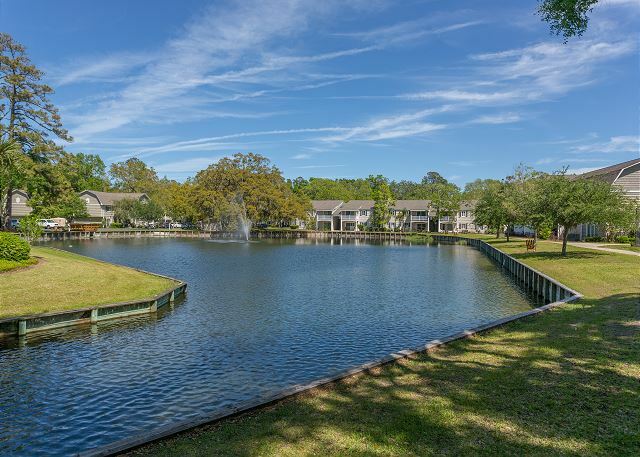 It is a peaceful condo community close to the pier. Accommodations were great! We will be back. We love the location. The condo area is very quiet and pleasant. The area is clean and attractive. This was our 7th year renting unit L-4 at Oceanwalk. This unit is very well furnished, very clean and it is ideally located overlooking a small garden/park. As usual the great staff at Real Escapes always do everything to make you feel welcome and to ensure you have a very enjoyable stay. Over the years, I have referred at least 4-5 other couples to Real Escape and all have commented to me how wonderful their experiences were. If you are looking for great rentals and want to deal with a staff of professional renters, then Real Escapes is the Rental Agency for you. Nice location, nicely furnished but not very clean. Dust under beds, greasy smears on stove. Some bugs in unity. BIG spider. We spent 6 great weeks in L-4. This was our 6th year and we had a wonderful stay. Accomodations are top notch and the staff at Real Escapes are fabulous, always willing to help and make your stay more enjoyable. We have referred Real Escapes to our friends and at least 4 couples have booked accomodations with them. We have already booked for next year and again look forward to the southern hospitality.